His career started on the independent labels Ridge Runner and Sugar Hill, but he paid the bills by playing in the band of his father-in-law, Johnny Cash. When the major labels came calling, he left Cash’s road show. A stint on Columbia produced little notable music, and his furor over Cash being dropped by the label derailed his contract with the company. After signing with MCA, he enjoyed a few radio hits in the early nineties. His Rockabilly style sounded great on the radio, but he was just as well known for the road tavern country duets that he performed with Travis Tritt. After a pair of albums for MCA failed to produce a major hit, Stuart produced The Pilgrim in 1999. While its commercial failure led to his dismissal from the MCA roster, the concept album laid the groundwork for the critically acclaimed work that he would produce in the years that followed. While exploring styles ranging from classic country to Southern gospel, Stuart slowly emerged as an elder statesman of the genre. He collected rare artifacts from country music history, hosted a cable show that showcased country legends, and produced comeback albums for Porter Wagoner and Connie Smith. As a member of both the Grand Ole Opry and the board of the Country Music Foundation, Stuart continues to preserve the genre’s history when both on and off the stage. How on earth did you miss his years with Lester Flatt and the Nashville Grass ? That really represents the start to Marty’s career. I don’t recall how old Marty was at the time, but it was well under 18 years old. Stuart is a country music gem who often does not get the recognition he deserves. The work he has done in the background with other performers and carrying on the tradition of country music would make him a key country musician by himself, but he continues to produce excellent music of his own. I’m glad you listed “The Pilgrim” in your essential album list, as I would rank it among the top country albums of the 1990s, despite, as you note, its failure to achieve commercial success (I’ve written about the album here: http://www.chimesfreedom.com/2011/11/22/thanksgiving-with-marty-stuart-the-pilgrim/ ). His follow-up concept albums, such as his gospel album, have continued his excellent work. 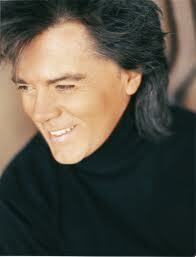 Although he’s had success with some more mainstream popular country work (“Tempted,” work with Travis Tritt, etc. ), his work in traditional country genres has made him an essential part of the country canon.